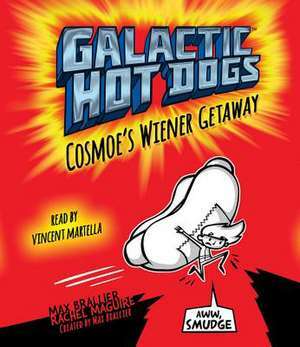 Galactic Hot Dogs is an insanely entertaining, eye-popping adventure (Lincoln Peirce, bestselling author of the Big Nate series). Meet Cosmoe, the Earth-Boy. He s captain of the Neon Weiner, the finest flying food truck in the galaxy. Along with his bud, Big Humphree, he spends his days cruising the cosmos and staying "crazy busy"